I work in marketing and social media. I understand the desperation to get your product, your resource, your business out in front of all of your competitors, and just plain out in front of everything else that’s going on in social media. Facebook has proven to be a good tool to help win you prospects and customers who might not otherwise have even known you existed. This includes buying ad space to get people to click through to your Page and hopefully continue down the lead generation cycle. Facebook is a business. Businesses are using this business. It’s a viable, logical process. Then today I saw my first “Suggested Post,” not as an ad casually tucked away on the right-hand side of the NewsFeed, but included right in the NewsFeed among my friends’ posts and Pages I had consciously opted in to. It’s true that you could miss the sidebar ads, and Sponsored Stories (another paid ad choice) might not reach all of your target market; brands struggle with this daily. Yet masquerading as a “natural” Facebook post that shifts the hierarchy of what I’m used to seeing and what I want to see in my own NewsFeed is intrusive and annoying. It makes me think less of the brand using this function–yes, even as a marketer myself. Seeing both sides of this isn’t always a happy medium experience. Does this latest ad ploy bother you? Or do you just blink and move on no matter what Facebook serves up? 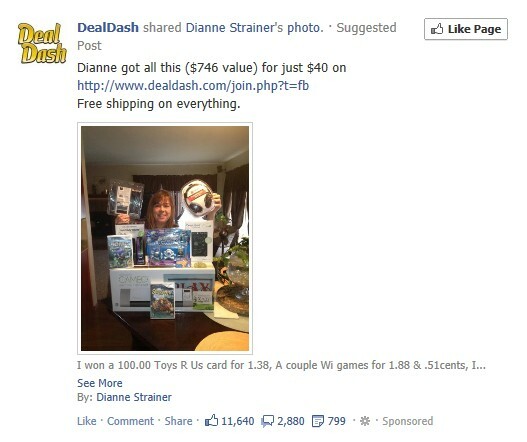 ← Pay to Promote Your Every Thought on Facebook! Intrusive and annoying indeed! They must have done this for mobile. I mostly look at Facebook on my iPhone, and don’t see the sidebar ads unless I’m on a desktop or laptop. That said, whether I see ads in my newsfeed on my iPhone or everywhere on a computer, my eyes generally pass right over them if they sicken or annoy me–and most ads sicken and annoy me whether they’re online, on the radio, before a movie, on tv, on a billboard, or whatever. The only ads that get my attention are the ones that draw me with artfulness or humor. If I see an excellent drawing, skim some funny copy, or glance over some well-written words that speak to my needs or interests, I just might click. That doesn’t happen much, though, so generally I just scroll right past any content that’s uninteresting or ridiculous. Though as a marketer myself I do keep an eye out for what works, since we might as well use the tools available to us if our message is good. Even if we despise those tools. Yes, the conflict of the marketer! We see all the behind-the-scenes skullduggery and use it for our own ends, but get incensed when it’s used against us. At least we can recognize the whys and wherefores…like a (not so) secret club handshake. I’ve been passing by those newer intrusive ads now that I’ve gotten used to them. What’s next, I wonder?